Regional Mosaic Exhibit Opens Friday September 6th! 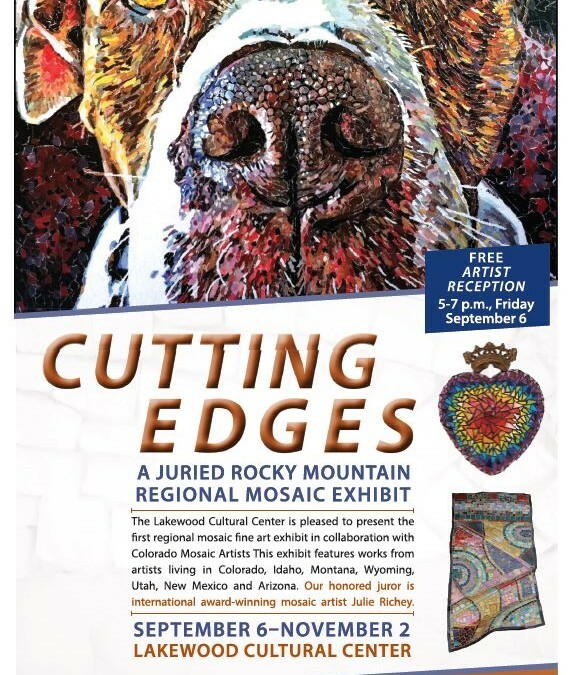 “Cutting Edges”, a Rocky Mountain Regional mosaic exhibit, opens with an Artists Reception Friday, September 6th from 5:00 to 7:00 pm at the Lakewood Cultural Center in Lakewood, Colorado. The show, juried by internationally recognized artist Julie Richey, runs from September 6th through November 2nd at 470 South Allison Parkway, which is behind the shops at the SW corner of Alameda and Wadsworth. The show gallery hours are 8:00 am to 5:00 pm Mondays through Fridays and 10:00 am to 2:00 pm Saturdays. 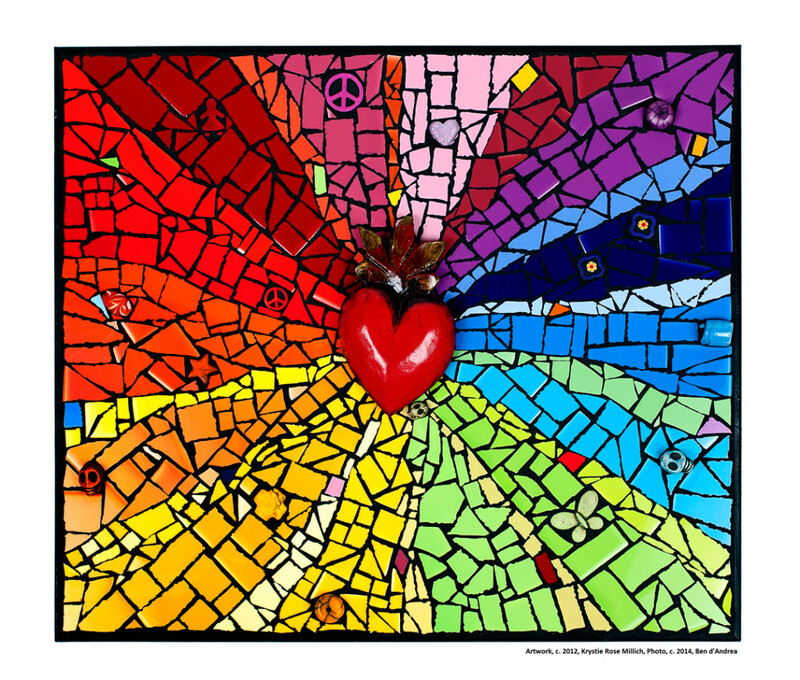 The Colorado Mosaic Artists-organized show features 50 different mixed media mosaic works by different artists from the states of Arizona, Colorado, Idaho, Montana, New Mexico, Utah, and Wyoming. Several of the artists have included special small size pieces available for sale in the lobby. I am excited to share that I had two pieces selected for the show; “Corazon del Arco Iris” (Rainbow Heart) in the poster above, and “Reach of the Sacred Heart” shown below. I will be at the opening reception and would love to see some fellow mosaic lovers there as well!